Joel Feder March 4, 2019 Comment Now! 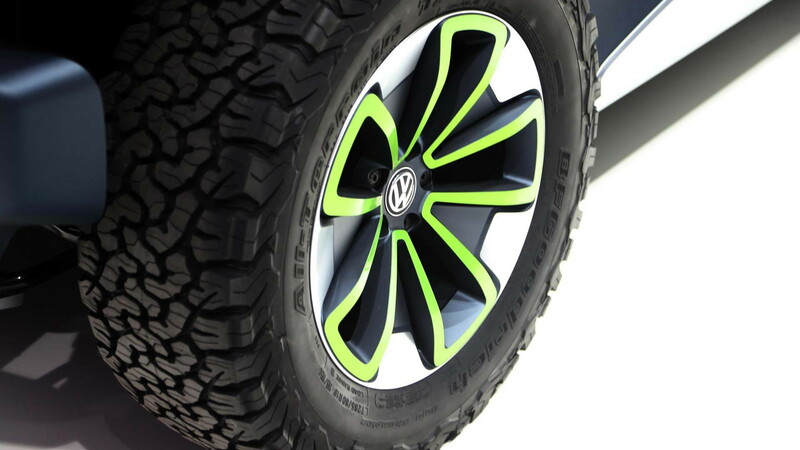 The Buggy concept rides on VW's new, modular all-electric MEB platform. It's MEB that could enable VW to put low-volume niche models, such as a Buggy, into production in the future. The automaker's MEB platform is like a skateboard with the concept's 62-kwh battery mounted in the middle down low for a low center of gravity. VW says the battery is also structural and adds to the rigidity of all MEB vehicles. The electric motor is mounted in the rear, like the original Beetle that provided the basis for beach buggies, and is connected to a single-speed transmission, though VW said a second electric motor could be fitted to the front axle to give the Buggy all-wheel drive. 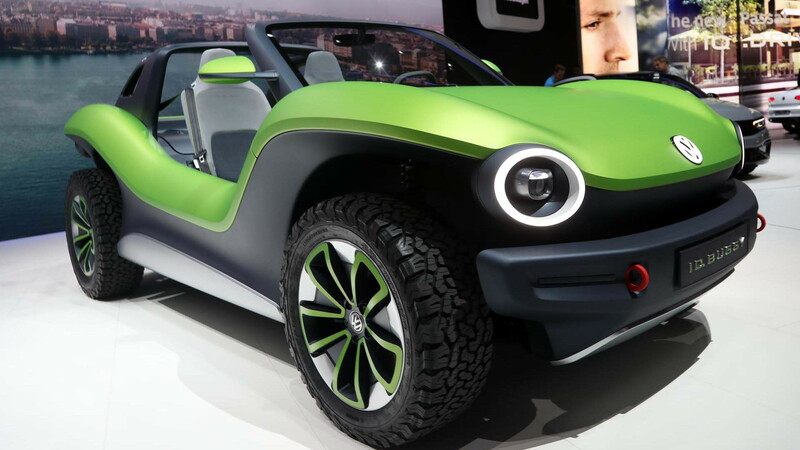 Volkswagen said the ID Buggy concept has a range of 155 miles on the European WLTP system, which would translate to more than an EPA-rated 140 miles in the U.S.
Total output is 201 horsepower and 228 pound-feet of torque, which allows for a 0-60 mph sprint of 7.2 seconds and a top speed that's electronically limited to 99 mph. That sounds like a recipe for a fun day on the beach, if you ask us. 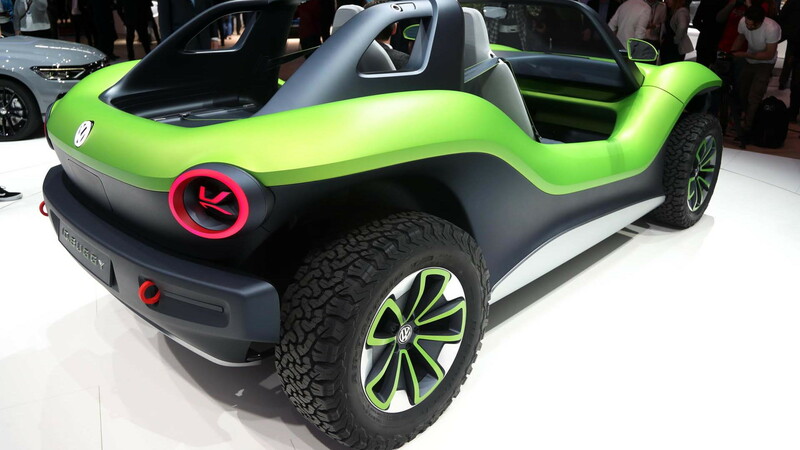 With massive wheel arches, no doors, and Kermit the Frog-green paint, the ID Buggy concept just looks like fun. The large 255/55 front and 285/60 rear BFGoodrich All-Terrain T/A off-road tires that fill the wheel wells confirm the concept is ready for an adventure. 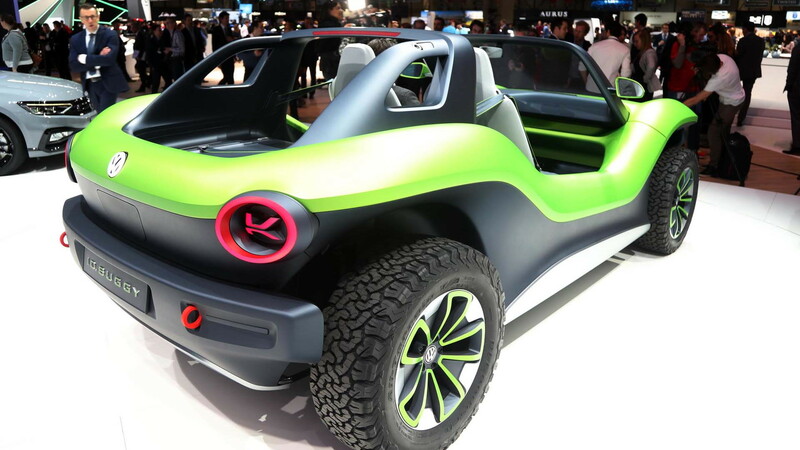 There are no doors or roof, of course, because this is a dune buggy for the beach. It's meant to kick up sand, not to keep out the elements. 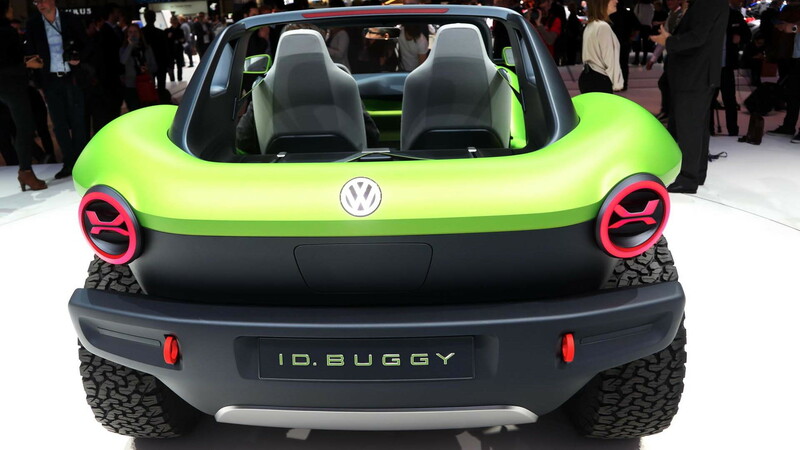 Inside, the Buggy concept takes the term minimalist to the extreme with two seats (though VW said it could be stretched to become a 2+2 layout), accelerator and brake pedals, a small gauge cluster, and some touch controls. The nappa leather is water resistant and there's a shelf-like cubby to hold things that will likely fall out as soon as the fun starts. Originally sold as a kit car back in 1964 by Bruce Meyers for desert racing, the Meyers Manx dune buggy has a cult-like following and rich history of cheeky fun. It's unclear if the revived buggy will ever hit the road. Its lack of doors would make meeting safety regulations a challenge, but the new MEB platform would definitely allow for such a fun, low-volume vehicle to come to fruition. For more from the Geneva show, check our dedicated hub.